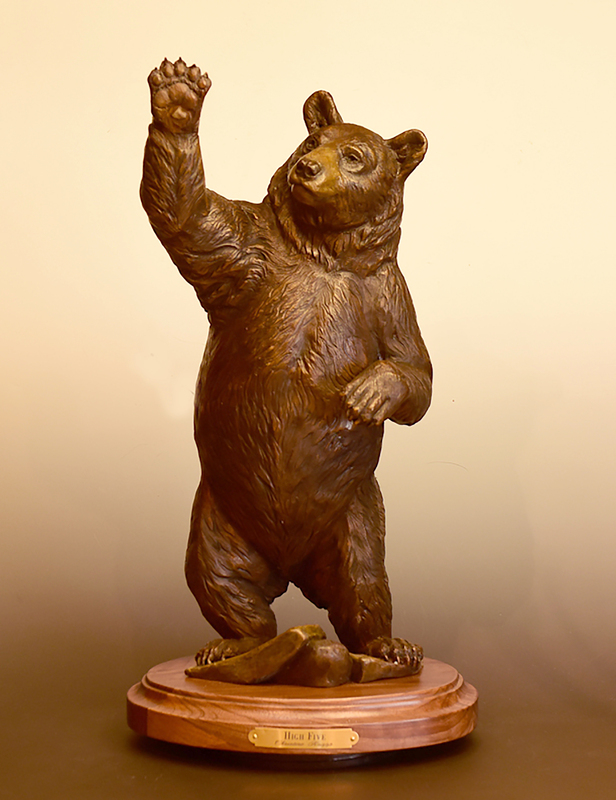 This inquisitive black bear was designed to be a companion sculpture for “Playful”. Both are also available in life plus 1/4 size. I have the distinct pleasure of watching these bears right on our own property, or on nearby hikes. One of the amazing facts about bears is that they can take on almost human poses. If one compares their skeletal anatomy to a human skeleton the similarity is shocking. Add their high degree of intelligence into that equation and you have the perfect recipe for a fascinating muse everytime!